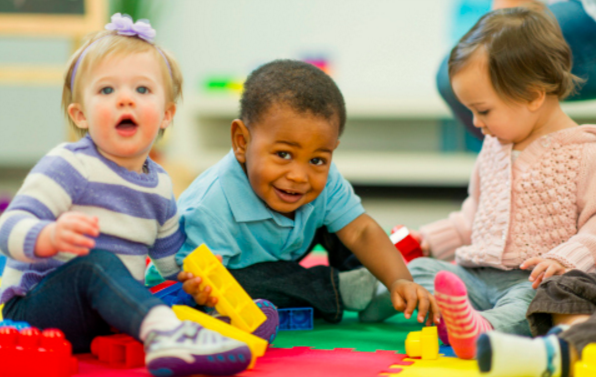 According to a new Census Bureau population estimate via the Pew Research Center, the nation’s youngest children belong to no ethnic or racial majority. Pinpointing the exact year when minorities outnumbered non-Hispanic whites among newborns has been difficult. The change among newborns is part of a projected U.S. demographic shift from a majority-white nation to one with no racial or ethnic majority group that is based on long-running immigration and birth trends. But changes in short-term immigration flows and in fertility patterns can delay those long-term shifts. Aside from the encouraging picture this paints for diversity, there no doubt that far-right wing groups will use this as propaganda to validate their xenophobic rhetoric. The study also points out that although the baby population’s makeup is changing, over half of their mothers are still white. While census estimates have shown a shift toward a majority-minority infant population, estimates about the race of mothers from another data source – the National Center for Health Statistics – do not. Its preliminary 2015 data indicate that 54% of births are to non-Hispanic white mothers, a similar share as in 2011, 2012, 2013 and 2014. However, the two agencies measure race differently. For example, the Census Bureau reports data about children of multiple races, while the National Center for Health Statistics changes mixed-race mothers into single-race mothers in publishing its data. And the Census Bureau uses available information about the father’s race or Hispanic origin, as well as the mother’s, to determine the baby’s race and ethnic categories, while the health-statistics center reports only the mother’s race and ethnic origin. White supremacists/Trump fans must be having a big sad right now.